We’ve come a long way since moving to Lomita in the Spring of 2015. To what began as an urban organic garden experiment has more than tripled in size during our first year! We are dedicated to growing all natural organic produce from only a few specifically researched nurseries and non-GMO, heirloom seed companies. We only use simple organic pest control and fertilizer, such as Dr. Bronner’s Castile Soap and fish emulsion. With constant care, attention, and the cultivation of the existing fertile soil, our plants and trees are thriving and producing abundantly. We’ve come to appreciate the natural environment Lomita provided to its farmers who once lived and worked in what was mostly agricultural land. Our hope is to bring that era back- at least, in our own backyard! 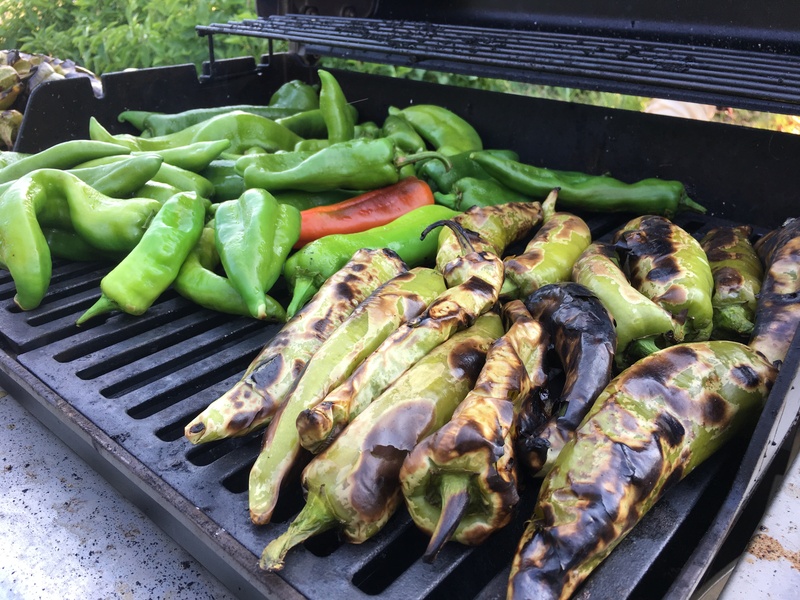 It's Hatch green chile season! We've been roasting basket loads of our homegrown Hatch chiles. We then skin, deseed, chop, and store for flavorful chile verde or use freshly chopped in grilled cheese sandwiches, cornbread, scones, fresh squeezed lemonade, and much more. Click on the picture above to find out more about the quaint and unique Chile Capital of the World: Hatch, New Mexico. 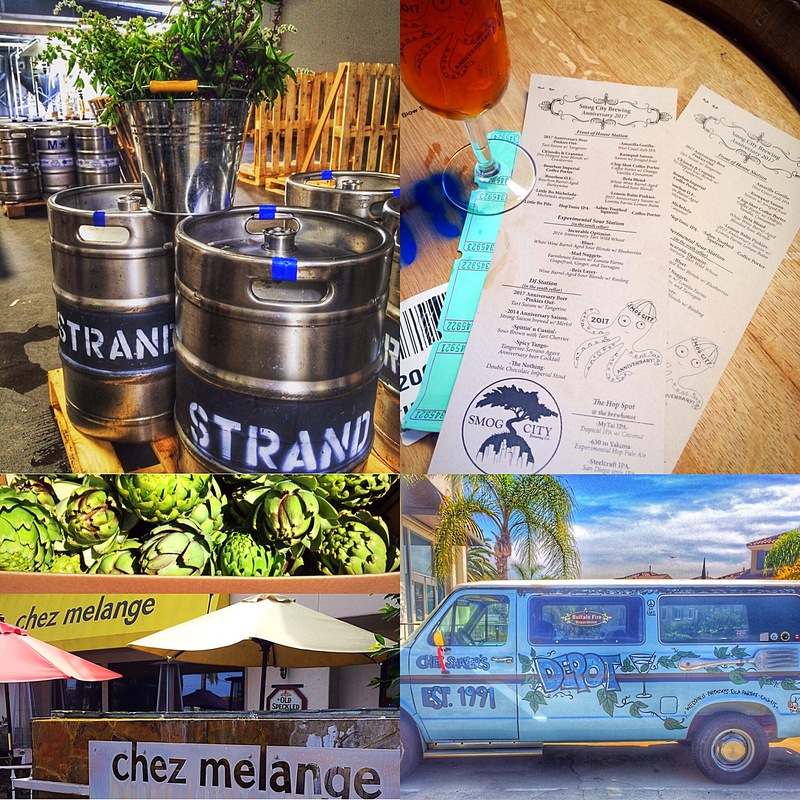 Working with local iconic restaurants and breweries in bringing our healthy, organic, heirloom produce out to the community. Eat and drink fresh, know where your fruits and vegetables come from, and try growing your own! Orange Chile Marmalade is Back! 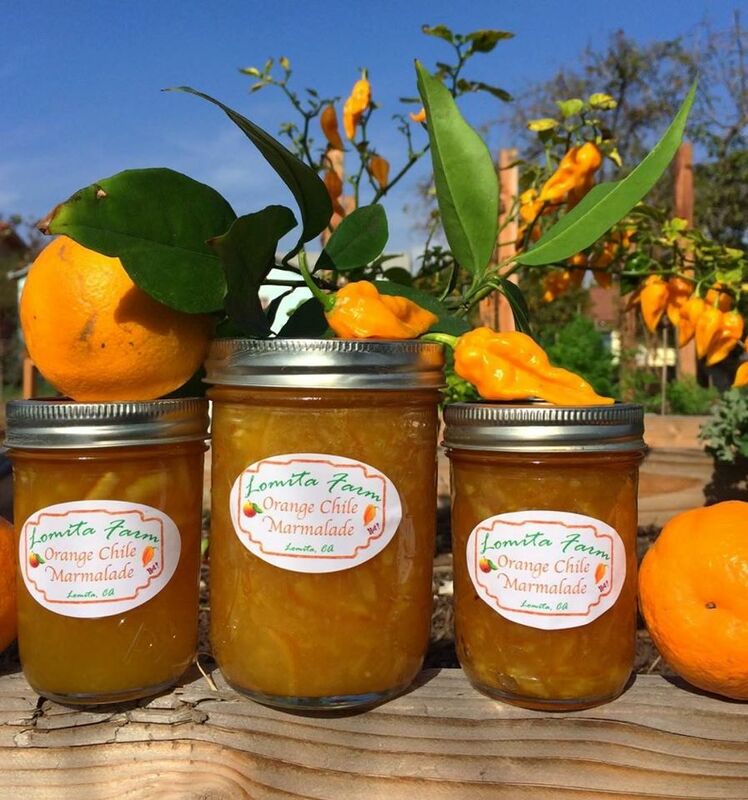 Lomita Farm's Orange Chile Marmalade is now for sale! Our marmalade is made with homegrown, juicy, sweet Valencia oranges and hot, floral-flavored, habanero-type fatalii chile peppers. The result is an extraordinary sweet and spicy jelly with endless possibilities: Spread on bagels with cream cheese, toast with butter, or in a PB&J sandwich, use as a marinade and glaze for pork, chicken, and salmon, feature in a unique dessert, and much more. $8 for a small jar, $12 for a large jar. Contact us via this website or message us on FB or Insta if you'd like to make a purchase.